The next 'Do This in Memory' Mass will take place on Saturday 3rd May 2014, at 6.30pm. This will be the final Mass of your child's preparation before their First Holy Communion. Fr. Dermot Brennan will celebrate this Mass, as the Priests of the Parish are unavailable due to other commitments on the day. On this occasion, we would like the children to remain with their parents for the gospel and homily. Fr. Brennan will invite the children and their parents to say the prayer before Communion while they remain in their seats. Then after Communion, the Priest will invite the children to the altar to recite together the prayer after Communion. To assist Fr. Brennan with his workload, it would be helpful if the children could present themselves to the Ministers of the Eucharist nearest to them for the blessing at Communion time. Please remind your child to collect their copy of the Grapevine at the Altar after the final hymn. Tá Rang a 1, Rang a 2 agus Rang a 3 ag glacadh páirt i mblitz peil gaelach Dé Chéadaoin 30/04/14 i bPáirc C.L.G. Chionn tSáile. Tá Rang a 4 agus a 5 ag glacadh páirt i mblitz peil gaelacha ar an nDéardaoin, 1/05/14 i bPáirc C.L.G. Chionn tSáile. Beidh siad ag siúl chuig an pháirc ag a 9.30 an maidin sin ón scoil. Beidh siad críochnaithe ag 12.30 agus siúlfidh siad ar ais chuig na scoile. €3 an pháiste le bhur dtola. Clúdaíonn an praghas seo deoch agus criospaí i ndiaidh an bhlitz agus boinn i gcomhair na buaiteóirí. Le bhur dtola bíodh stocaí le spáráil/ uachtar gréinne ag na páistí mar níl a fhios againn conas mar a bheidh an aimsir. Rang a 1, Rang a 2 and Rang a 3 are participating in a football blitz this Wednesday, the 30/04/14 at Kinsale GAA pitch. Rang a 4 and Rang a 5 are participating in a football blitz this Thursday, the 1/5/14 at Kinsale GAA pitch. They will walk to and from the pitch, leaving at 9.30 and returning at 12.30. Please contribute €3 per pupil. This will cover a drink and crisps for every player afterwards along with medals for the winning teams. Please pack spare socks/ sun cream or whatever else you think is necessary to deal with the changeable weather. As you know it is tradition each year for Rang 1 to host the Communion Party for the current communion class. This year's date is Saturday, 24th May 2014 with Mass beginning at 11am. Trish Ryan(Noah's Mom) and Caroline O' Brien (Charlotte's Mom) from Rang 1 have volunteered to help out with getting this party organised. On the day itself though we will need approx 10-15 volunteers from Rang 1 helping out. Traditionally all the food for the party,( ie savoury foods such as sandwiches, brown bread, scones, dessert type food -cakes, cup cakes, buns, biscuits etc) is provided by the parents of Rang 1. Tea/Coffee/Sugar/Milk etc are available in the school. If you would like to volunteer to help with this party, please let Trish or Caroline know as soon as possible. Your help really would be greatly appreciated. Beidh blitz peil gaelach ar siul an 30/04/14 i gcomhair R1,R2 agus R3, agus ar an 01/05/14 i gcomhair R4 agus R5. Beidh na foirne meascaithe agus beidh gach paiste ag glacadh pairt. Mar sin, seol do phaiste isteach sna headai spoirt gach la an tseachtain seo le bhur dtola, agus deanfaimid treanail i rith am scoile leo. Gheobhaidh sibh nios mo eolas maidir leis an mblitz ar an Mairt. There are gaelic football blitzes being held for all 1st-5th class pupils between local schools. 1st,2nd and 3rd class will be playing on Wednesday the 30/04/14 and 4th and 5th class will be playing on Thursday the 01/05/14. Therefore the pupils should wear their sports clothes every day this week from Monday the 28th to Friday the 2nd, as we will be training in school Monday and Tuesday. More information about the blitzes will be sent out Tuesday. Tá an champa ag tosnú an Luan seo chugainn, 14/04/14 ag a 9.00-2.00 are feadh ceithre lá. Tá cead ag na páistí gnáth éadaí a chaitheamh. Ba cheart dóibh lón agus deoch a thabhairt leo. Tá an aimsir geallta chun a bheith go maith go leor, mar sin, cuimhnígí ar uachtar gréinne chomh maith. The Easter Camp is starting this Monday, 14/04/14 from 9am to 2 pm for 4 days. The children can wear their normal clothes. They should bring a packed lunch and a drink. The weather forecast is for mainly dry and bright weather, so perhaps consider sun cream. €50 páiste amháin, €90 beirt, €125 triúr. €50 for one child, €90 for two siblings, €125 for three siblings. Chomhghairdeas mór leis na páistí ar fad a ghlac páirt i bhFeis Maitiú! Idir na grúpaí eagraithe ag an scoil faoi stiuir Múinteoirí Alma agus Siobhán agus na páistí aonair táim thar a bheith bródúil astu go léir. Ba bhrea liom griangraf a thogaint dos na páistí ar fad a bhí páirteach ann mar sin an bhfeadfadh siad na teastais, gradamacha, boinn nó coirn a bhuadar ann a thabhairt ar scoil amarach agus tógfar griangraf díobh ina n-éide scoile don suíomh. Bheadh sé níos deise dá mbeadh ár néide scoile orthu ach más gá dóibh éadaí spóirt a chaitheamh don spóirt/Sciath na Scol sin go brea ar fad. Gaelscoil Chionn tSaile ABÚÚÚ!! A big congrats and well done to all the children who participated in Feis Maitiú recently. Between the groups led by Múinteoirí Alma agus Siobhán and the individual children who participated on their own I'm hugely proud. I would love to get a photo of all the children who participated in their uniforms with their certs, medals, cups and plaques. Could all the participants of Feis Maitiu bring in any prizes etc tomorrow and we'll take a photo of them in their uniforms for the school site and maybe even send it to a newspaper. It'd be nice to have the children in their uniforms but if some of them must wear sports clothes etc for sport or Sciath na Scol that's fine too. Gaelscoil Chionn tSaile ABÚÚÚ! Leath lá ar an Aoine/ Half Day Friday!! Beidh leath lá scoile againn ar an Aoine an 11/04/2014. Beidh na naíonáin agus muintir an bhus ag dul abhaile ag a 12.00 agus an chuid eile don scoil ag dul abhaile ag a 12.15. Tá cead ag deartháireacha agus ag deirfiúracha na naíonáin dul abhaile leo ag a 12.00. We are having a half day this Friday 11/04/2014. 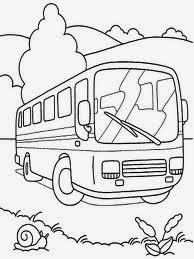 The infants and those that go home on the school bus will finish at 12.00 and the rest of the children will finish at 12.15. As usual on these days brothers and sisters of children finishing at 12.00 can leave with them at that time. Comhghairdeas ó chroí le fhoireann na scoile a tháinig sa chéad áit i gcomórtas Feis Maitiú inniu 9/04/2014. Is mór an ócáid é seo don scoil an chorn stairiúil seo a bhuachaint. Ár mbuíochas le Múinteoir Alma is le Múinteoir Siobhán a d'ullmhaigh na páistí go slachtmhar. Huge congratulations to the school choir that came in first place in the choral section of Feis Matthew today 9/04/2014. It is a proud day for the school to have won this historic trophy. Our thanks to Múinteoirí Alma and Siobhán who put hours of work into preparing the children for the competition. Tógaigí ar ais na boscaí trócaire go dtí an scoil roimh an Aoine seo, 12/04/2014, nó go dtí an séipéal roimh an Déardaoin, 17/04/2014, le bhur dtola. Please bring back the trócaire boxes to the school before this Friday 12/04/2014 or to the church before Thursday 17/04/2014. Slán leis an Léine Rugbaí Stríocach! Farewell to the striped rugby shirt! Is oth liom a rá nach mbeimíd in ann dul ar aghaidh leis an léine rugbaí stríocach as seo amach. Cé gur vótáileadh go mbeadh sé againn níor eirigh le 4orm teacht ar chomhlacht go mbeidís muiníneach astu seirbhís ceart a thabhairt. Mar sin is gá dúinn eirí astu! Beidh an léine rugbaí gorm nua in úsáid againn agus beidh sampla do le feiscint lasmuigh d'oifig Hilda ar feadh tamaill. Gan amhras is féidir leis na páistí a léinte rugbaí stríocach a chaitheamh go dtí go bhfuil siad caite nó ró-bheag dóibh sar is gá dóibh an ceann nua a cheannach. Beidh brón orm na léinte rugbaí stríocach a fheiscint ag imeacht ach faraoir níl leigheas ar an scéal agus tá cruth álainn ar an gceann nua. I'm disappointed to say that we cannot continue with the striped rugby shirt. Despite it being voted for in the recent questionnaire 4orm have not been able to secure a viable supplier in whom they would have confidence to deliver a high quality garment and service. It gives me confidence in 4orm that they were unwilling to compromise on quality and service. Of course this means that we must throw in the towel on the quest for the striped rugby shirt. We will go with the new plain blue option. There will be a sample of it to be seen outside Hilda's office. Obviously the children may wear their striped rugby shirts until they are worn out or too small for them before purchasing the new rugby shirt. It'll be sad to see the striped shirt go but unfortunately there's no other solution and the blue rugby shirt is also very striking! Please forward the message below to the parents of children preparing for First Communion. Sunday at 10.00am - Summercove and Scoil Naoimh Eltin. On Saturday April 12th 2014 at 6.30pm (or Sunday April 13th 2014 at 10am) the next 'Do This in Memory Mass' will take place in St. John the Baptist Church. This Mass also marks the beginning of Holy Week and Palm Sunday. The Church community very much welcomes the children as active participants in the celebration of the Mass. You might like to discuss with your child the support and feeling of belonging that you experience when you attend Mass, and the ways in which praying together in thanks and for support can enrich our lives. On this occasion the children will be asked to remain in their seats, with their family, for the duration of the Gospel and a Children's version of the Passion will be read. To help the children to understand the meaning of the Passion and to help them to participate in the Mass, a copy of the Gospel will be distributed in school and discussed in class with their teacher. Please remind your child to bring their copy with them to Mass. After Communion the children will be invited to stand at the altar and read together with the Priest, the prayer after Communion taken from their Alive O textbook. A typed copy of this prayer will be given to the children at mass, and they will be prepared by their teacher in school, to recite the prayer together. You might like to encourage your child to take the blessed palm home with them for their sacred space and to please collect their copy of the grapevine at the altar after Mass. IS BREÁ LIOM SCOIL ! Beidh na Naíonáin nua ag teacht chun na scoile ar an Aoine an 13ú Mheitheamh '14 chun féachaint timpeall agus dul i dtaithí ar an seomra ranga srl. Fé mar is ghnáth, dá bharr seo táimid ag tabhairt lá saor do leanaí rang Michelle ar an lá san. The new Junior Infants (2014/2015) will be coming to the school on Friday 13th June '14 to look around, get used to the class room etc. To accommodate this, as per usual, Michelle's class (Present Junior Infants) will be getting that day off school. Beidh an cór ag fágáil na scoile ar a 6 a chlog ar an mbus um thráthnóna agus ag teacht ar ais ar a 10 a chlog anocht 03.04.2014. A thuismitheoirí! Cúpla Fógra daoibh! 1. Beidh Corn Rugbaí an Sé Náisiúin ag teacht chun na scoile maidin Dé hAoine 04/04/2014 ag 08.30 - 09.15. Cuirim fáilte roimh aon tuismitheoir go bhfuil suim acu ann teacht chun griangrafanna a thógaint. Ta cead ag na páistí aon éide rugbaí na hÉireann a chaitheamh más maith leo chomh maith. Muna bhfuil aon éadaí spóirt glasa "Éire" acu is féidir leo an éide spóirt a chaitheamh. Bheadh sé deas rud mór a dhéanamh as -tá an t-adh dearg linn go bhfuil se ag teacht! -ach ní theastaíonn uaim aon brú a cur oraibh. Ba mhaith liom buíochas a gabháil le hUltan Ó Céilleacháin as ucht é seo a eagrú dúinn. 2. Beidh triallacha reatha do spóirt na Chathrach ara siúl sa scoil ar an Aoine céanna 04/04/'14. 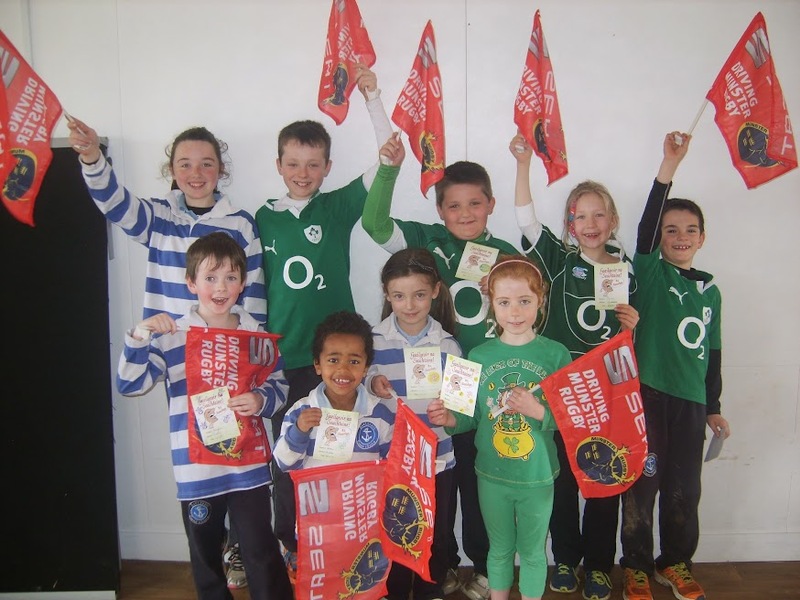 Rachaidh na buaiteoirí ar aghaidh chun rith ar son na scoile i Sport na Chathrach ar an gCéadaoin an 21/05/'14. 3.Tá Coiste na dTuismitheoirí ag eagrú léitheoireacht roinnte le ranganna 1+2. Is éard a bheidh i gceist ann ná tuismitheoirí éagsúla ón scoil ag teacht chun na scoile chun léitheoireacht a dhéanamh le grúpaí léitheoireachta. Beimíd ag tosnú leis na léitheoirí PM ach seans go dtosnóimíd ar úrscéal leo. Tabharfaidh sé seans iontach dos na páistí breis léitheoireacht a dhéanamh agus beidh grúpaí ilchumasacha ann. Téir i dteangbháil le Hilda / seol ríomhphost chuig an scoil MUNA dteastaíonn uait go mbeidh do pháiste páirteach ann. Táimid ag súil go dtosnóimid an tseachtain seo chugainn (seachtain an 7ú Aibreán 2014) le tosnú le R1 & 2 ach leathanófar amach é tar éis tamaill ó Naí Shóisearacha go R3. Má tá tú sásta go nglacfaidh do pháiste páirt ann ní ghá aon rud a dhéanamh. MUNA bhfuil tú sásta go nglacfaidh do pháiste páirt ann seol ríomhphost aon-líneach chuig na scoile ag rá nach mbeidh siad páirteach ann. Ní ghá cúis a thabhairt, is fúibh féin ata sé. Má tá aon tuistí eile ann a bheidh sásta an t-am a thabhairt ar bhonn leanúnach téir i dteangbháil le Choiste na dTuistí. 4. Tá Múinteoir Máiréad ag fágáil slán linn go dtí tar éis laethanta saoire na Cásca. Tá sí chun pósadh ar an Aoine agus ag imeacht ar mí na meala ina dhiaidh! Chomhghairdeas deas léi agus guímíd gach rath uirthi ina saol pósta! Go néirí an bóthar leo! Tá formhór mór na ndaoine sásta faoin éide scoile. Na daoine nach bhfuil sásta sásta tá sé bainteach le píosa amháin nó dhó - sé sin léine rugbaí atá éasca le tuiscint nó bríste spóirt a bhí éasca le tuiscint nuair a chonaic mé an praghas. Táimid chun rith leis an tromlach maidir leis an léine rugbaí - sé sin na léinte atá againn. Tá sé deacair labhairt faoin gcaighdeán atá iontu toisc an méid déantóirí éagsúla atá tar éis gabháil leo. Tabharfaimid seans do 4orm anois le feiscint conas mar a éiríonn leo maidir le infhaighteacht, caighdeán agus praghas. Munar féidir leo sinne a shásamh rachaimíd leis an léine gorm. Tá ár ndícheall déanta againn ansan. Maidir leis an bríste spóirt. Táimid tar éis ísliú praghas a fháil ón €20 go €15 don bríste spóirt le suathantas. Táimid chun claoí leis an mbríste spóirt scoile ar na cúiseanna frithbhullaíochta a luaigh mé sa litir deirneach. Maidir leis an gúna scoile. Arís rachaimid leis an tromlach sé sin rogha idir bríste agus gúna scoile dos na hárdranganna 5 & 6 amháin. Beidh sé deas rogha a thabhairt dos na cailíní sinne agus freagraíonn sé aon fhadhbanna / bhairt a bhíonn ar dhaoine mar gheall ar fhorbairt cailíní den aois sin. Bhí roinnt tuistí ag ceistiú riachtanais an éide spóirt ach tá éide scoile spóirt ag teastáil dos na cúiseanna céanna is go bhfuil an gnáth éide scoile. Táimíd ag iarraidh an brú agus an strus a bhaint de pháistí tré éide faoi leith a bheith ar gach éinne. Go raibh maith agaibh arís as ucht an t-am a thógaint chun an aiseolas a thabhairt. A few things to tell you. The 6 Nations Rugby Trophy will be at the school this Friday morning 04/04/2014 between 08:30 and 9.15. Any parent who is interested is welcome to come and take photographs.The children will also be allowed to wear any Irish rugby clothes. If they have no green 'Ireland' sports clothes, they can wear their school sports uniform. It would be nice to make a big deal out of it -we're so lucky to be getting it to the school!- but I don't want to put pressure on people. I would like to thank Ultan O' Callaghan for organising this for us. The children should wear sports clothes on the same Friday (04/04/'14) as we will be doing the trials for City Sports that same day. The winners will go to represent the school at City Sports on Wednesday 21st May 2014. The Parents Association are organising shared reading for different classes in the school starting out with 1st and 2nd Class. It involves different parents coming to the school to do reading with various groups of children. We will be starting with the PM readers but we may also start a novel with them down the line. It will give the children a wonderful opportunity to do extra reading and there will be mixed ability groups. Contact Hilda or send an email to the school if you DO NOT wish your child to take part. We are hoping to start next week (week commencing 7th April 2014) with 1st and 2nd Class but we hope it will extend from Junior Infants to 3rd Class if we feel it is successful/of value. If you are happy for your child to take part there is no need to do anything.If you are NOT happy for your child to take part please send a one-line email to the school saying that they will not be attending. There is no need to give a reason. It is up to yourselves. If there are any other parents who can commit to giving time on a continual basis to this project please contact the the Parent's Association. 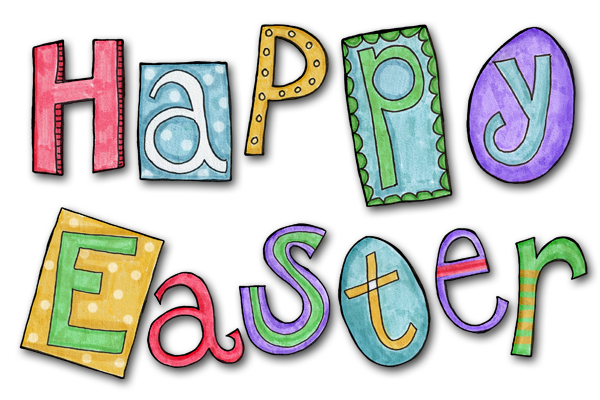 Múinteoir Máiread is leaving us until after the Easter holidays! She is getting married on Friday 04/04/'14 and going on honeymoon afterwards! Congratulations to her and her future husband! We wish them all the best in their married life! Good luck to them both! 1 not happy that we have one. Most people are satisfied with the school uniform. Those that were not satisfied had an issue with one or two items - the rugby shirt, (which is understandable with all the problems in the past -hopefully now resolved) or the sports pants -which was understandable when I saw the price Young's had set. We are going to run with the majority as regards the rugby shirt - that is the shirt that we have. It is hard to judge the overall standard because of the the number of manufacturers/suppliers that have been involved with them. We will give 4orm a chance now for the next 2 years to see how they get on with availability, quality and price. If they do not satisfy us we will go with the blue rugby shirt. We will certainly have done our best then. As regards the sports pants, we got a reduction in price from from €20 to €15 for the sports pants with a crest. We are going to stick with the school sports pants for the prevention of bullying reasons that I mentioned in the foreword of the questionnaire. With regard to the school pinafore. Again we will go with with the majority, that is a choice between a school pants and a pinafore but for 5th and 6th class only. It will be nice to give the older girls a choice and it answers any problems concerns that people have about the girls' development from that age. Some parents questioned the necessity of a sports uniform but the same reasons the school has a school uniform stand for days the children do sport. We would like to minimize the competition about appearance in school. We want to remove that stress from the children. Thank you again for taking the time to give your opinions and feedback. Nóta chun buíochas mór a gabháil libh uile as ucht an vótáil ar fad agus an iarracht abhal-mhór a rinne gach éinne chun doodle le Clara Ní Chathail a chur chun cinn. Faraoir ar an lá d'éirigh le cailín eile an duais a bhuachaint ach bhí an-lá ag Clara (agus againne!) ann. Chomhghairdeas mór léi arís agus go néirí linn arís an bhliain seo chugainn! 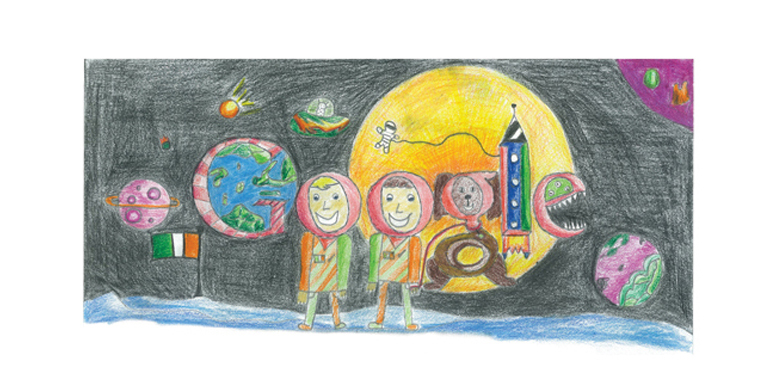 A note of thanks to all of you for all the voting and the huge effort that everyone made to support Clara Ní Chathail's doodle. Unfortunately for Clara, another child won the prize on the day but Clara (and we!) had a great time there! A big congratulations to her and may we be successful again next year!